In Greek myths, extraordinary men and women are distinguished from other mortals: they are the heroes. Sometimes helped by the gods and sometimes hindered, they perform extraordinary exploits of strength, bravery, or intelligence. Jason, Theseus, Helen, Achilles, and Atalanta are among these mythical figures. The stories of the Greek mortals and immortals, and their legendary exploits, tower as tall now as they have for thousands of years Alternately rivals or allies, Hera, Poseidon, Demeter, Athena, Ares, Aphrodite, Hephaestus, Hermes, Artemis, Apollo, and Dionysus form a restless family, which Zeus sometimes has trouble appeasing. But the king of the gods is far from irreproachable himself Join these twelve gods at the top of Olympus, where they will give you all their secrets, even the most incredible ones. 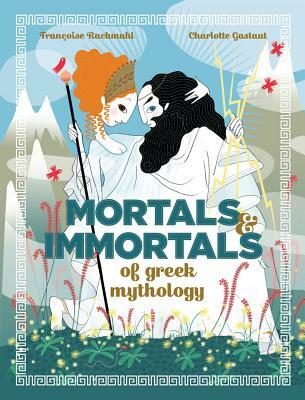 Never have these classic stories of Greek gods and goddesses, heroes and heroines, been so sumptuously illustrated. All your favorites are here, but this beautiful art and design will make you want to learn their stories all over again.